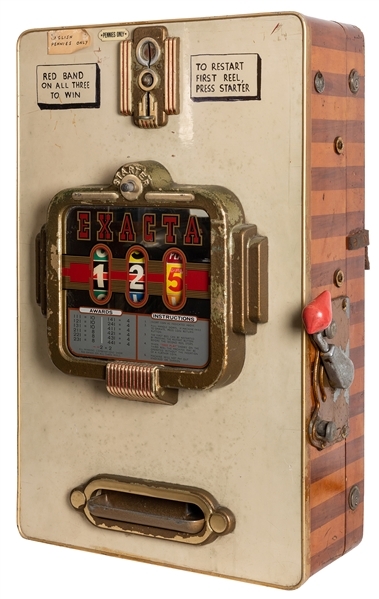 Lot Detail - Günter Wolff 1d (English Penny) “Exacta” Slot Machine. 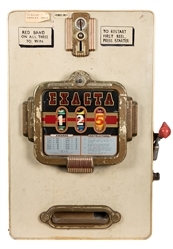 Günter Wolff 1d (English Penny) “Exacta” Slot Machine. 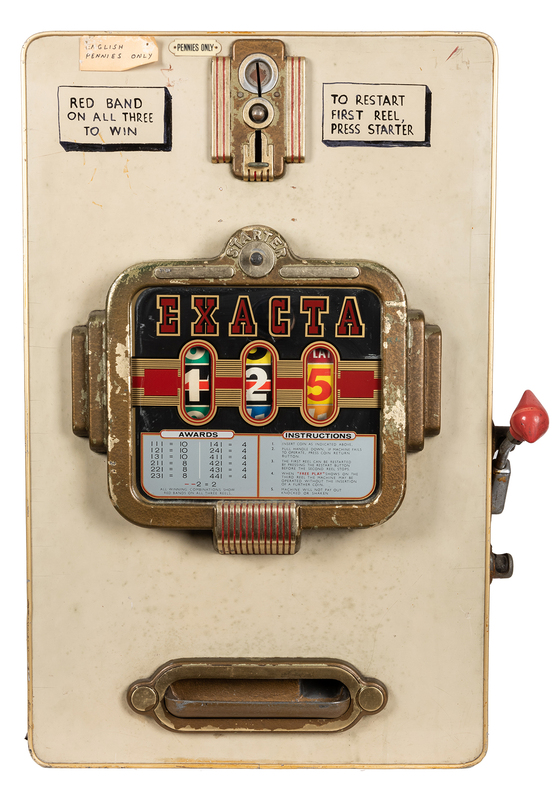 Günter Wolff 1d (English Penny) “Exacta” Slot Machine. Berlin, ca. 1955. Wood case. 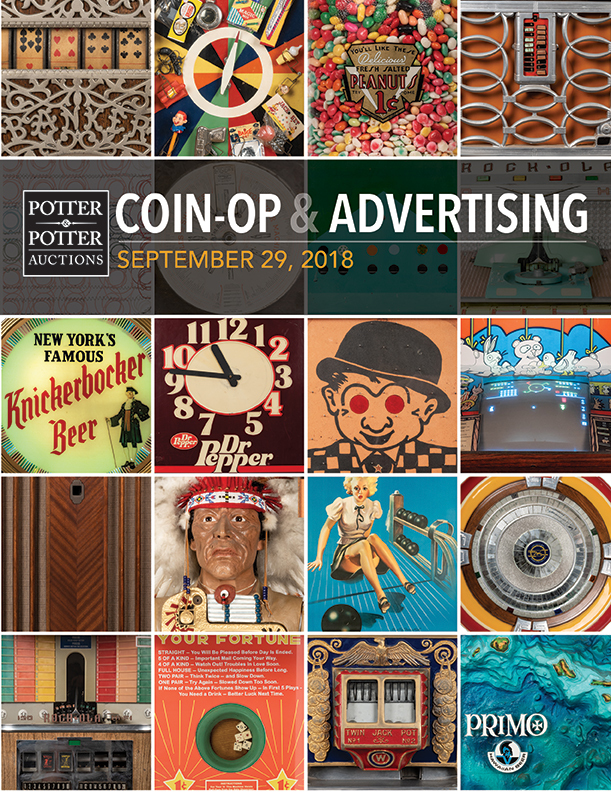 29 x 17 ½”. Lock, no key. Not tested.